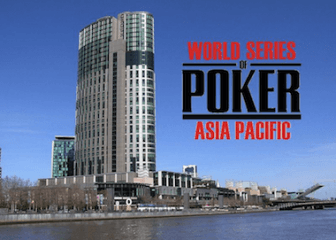 The ambitious undertaking of hosting a full-fledged World Series of Poker tournament series in Australia is now behind us and it’s safe to say that the overall experience of and reaction to the inaugural WSOP APAC tournament series will be mixed. In this column I’ll take a look at the attendance numbers, the reception of the WSOP APAC, and the results to try to paint a clearer picture of the success/failure of the WSOP APAC series. Billed as a major tournament series the WSOP APAC was expecting Aussie Millions type attention, but from the outset it became clear that the WSOP APAC wasn’t going to be one of the top tournament series of the year. What we got was something in between a random WPT or EPT event and the World Series of Poker Europe (which is likely the most overrated tournament series in poker). It’s also not been lost on the poker world that the idea of winning a bracelet has been cheapened, now that we are fast-approaching a time when 100 bracelets will be handed out every year – currently there are 60-something awarded at the WSOP; 10 or so at the WSOPE; and now another five at the WSOP APAC. There was also a lot of chatter about the cheapening of WSOP bracelets during the WSOP APAC as it falls outside of Las Vegas (as does the WSOPE), and I expect this to be a debate that continues well through the WSOP this summer. It’s also become apparent based on WSOPE and now WSOP APAC data that the vast majority of players will not simply attend a tournament series “bracelet-chasing,” especially in today’s poker world where bracelets no longer equal sponsorships and TV time. On the one hand you had over 1,000 entries (granted it was a three-day reentry event) in the opening event, but then attendance fell off a cliff as events #2, #3, and #4 barely registered, and looked more like a WPT tournament in some far-flung European locale, or even a preliminary tournament at a WSOPC stop than a full-fledged bracelet-awarding World Series of Poker tournament. The low-point in all of this was of course the paltry turnout for Event #3, a $2,200 Mixed Game tournament that saw just 81 players register, and awarded a measly $50,000 first-place prize. While the Main Event managed to attract a respectable number of entrants, 405, the High-Roller tournament was a disaster, as just 37 players registered for the $50k buy-in event and only seven reentered. Fortunately for the WSOP APAC the attendance numbers were overshadowed by a pair of well-known players winning bracelets, but had even a second-tier pro (let alone an amateur) won instead we would likely be calling the WSOP APAC a disaster. Lady Luck may have saved the WSOP APAC by giving the tournament series two huge stories with Daniel Negreanu and Phil Ivey both picking-up bracelets, and for all intents and purposes saving the WSOP APAC from becoming another over-hyped tournament series that quickly disappeared. Without the Ivey and Negreanu storylines I’m not even sure the WSOP APAC would have ran as a “bracelet” event in 2014.